Investigations underway for new sites in India, Vietnam, Malaysia, Northern Taiwan, the Yangtze River delta, Africa and Oceania. Brigantine Xiamen set a new depot named Luqiao in Xiamen. Brigantine Qingdao expanded further to LinYi and DongYing. Brigantine established strategic partnership with CIMC, becoming a joint venture of APM Maersk and CIMC. Brigantine Headquarter moved from Hong Kong to Shenzhen. 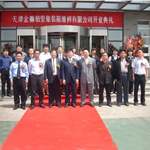 Furthered expanded and started own operations started in Xiamen, Guangzhou, Xian, Lianyungang, and Dachan Bay. Continued cooperation and expansion in Shanghai led to a joint venture "Brigantine Dewell Container Services Co., Ltd" with the Dewell (Group). Brigantine Goldlion Container Services Co Ltd was formed in Tianjin further expanding our presence in Tianjin. Opened our second marine reconditioning workshop in Fengxian district of Shanghai; and also an ondock container repair in Xiamen. Further expansion to Dalian with establishment of a joint venture "Dalian Jilong Brigantine Container Services Co., Ltd" with Dalian Jilong Logistics Co., Ltd. Expanded operations to Ningbo, Suzhou, and Tianjin. Integrated with Constar Holdings Limited, Taiwan. Expansion into Qingdao via Brigantine entering into a joint venture with SMART International Logistics Co. Ltd and established SMART Brigantine ( Qingdao ) Container Services Co., Ltd.
Outside the Guangdong province, Brigantine Services ( Shanghai ) Co., Ltd. was set up in Shanghai. Also, Brigantine invested HK$16 millions on upgrading the Marine Workshop in Hong Kong. On Aug 2002, the Yuen Long headquarters completed a further expansion of the depot facility to nearly 36,000 sqm. The first step to expand outside Hong Kong was made. Brigantine Services (Shenzhen) Co., Ltd. (BSSCL) was established, locating at Yantian port, Sha Tou Jiao and Chiwan, China. 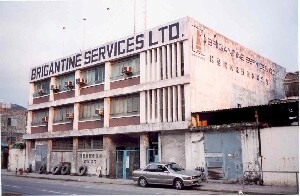 Brigantine Services Ltd merged with Commercial Containers Ltd. and moved to Yuen Long Industrial Estate, New Territories on 26 April 1994. Prince Joachim of Denmark presided over the grand opening with more than 300 guests. The Yuen Long facility covered over 23,000 sqm with total investment amount of HK$220 millions. The merger brought about the change of Chinese name into "栢堅貨櫃機械維修有限公司" and led the depot becoming the largest one in Asia. Brigantine's Chinese name "栢堅貨櫃機械維修有限公司" was chosen. In 1970's, poor global economic conditions took their toll across all industries in Hong Kong reducing the needs for the Shipbuilding business. 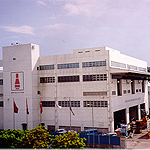 To cope with rapid growth, the Shipbuilding Department and Pipe Fitting Department was moved to Yau Tong Bay, Hong Kong. Main office moved to San Po Kong, Hong Kong with establishment of an Electrical Department, a Shipbuilding Department, and a Pipe Fitting Department. The number of workers increased to 200. A machine repair workshop was setup at Tai Kok Tsui, Hong Kong. 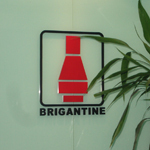 Brigantine Services Limited began on 12 May 1956.